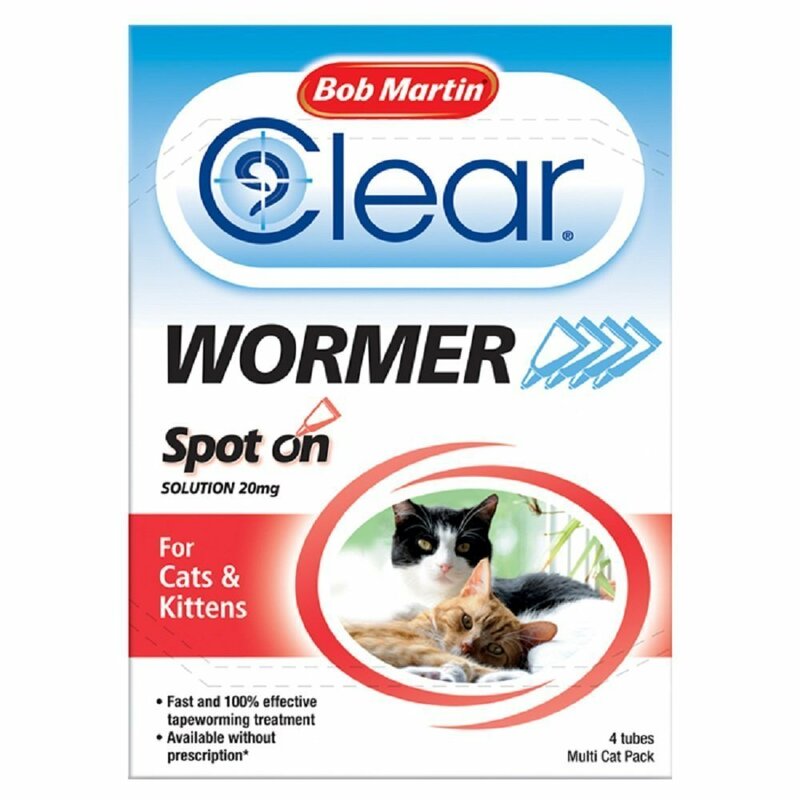 Bob Martin Clear Wormer Spot On for Cats is a clinically proven wormer that kills tapeworm, specially designed for easy use. Simply apply the solution to the back of your cat’s neck for fast, effective treatment. This treatment starts working almost immediately after application. 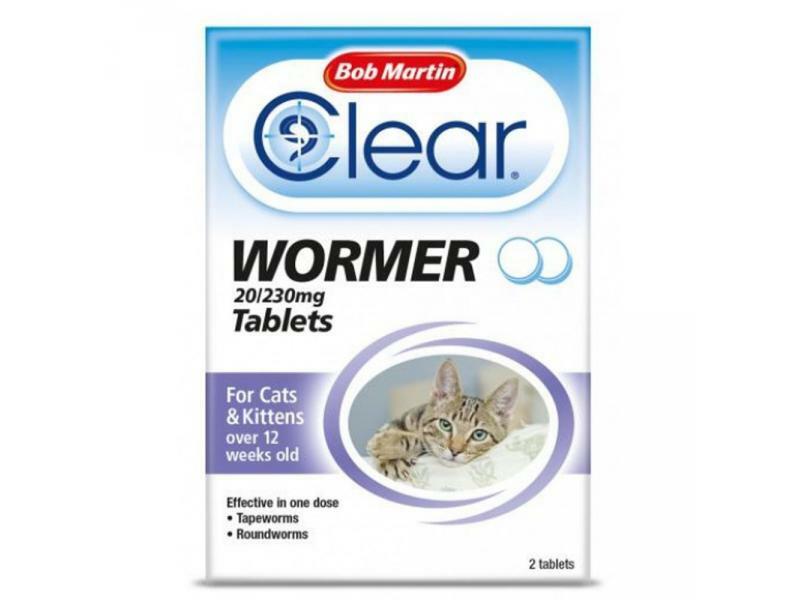 Please note, that if your cat has roundworm, you will need to order the tablets. 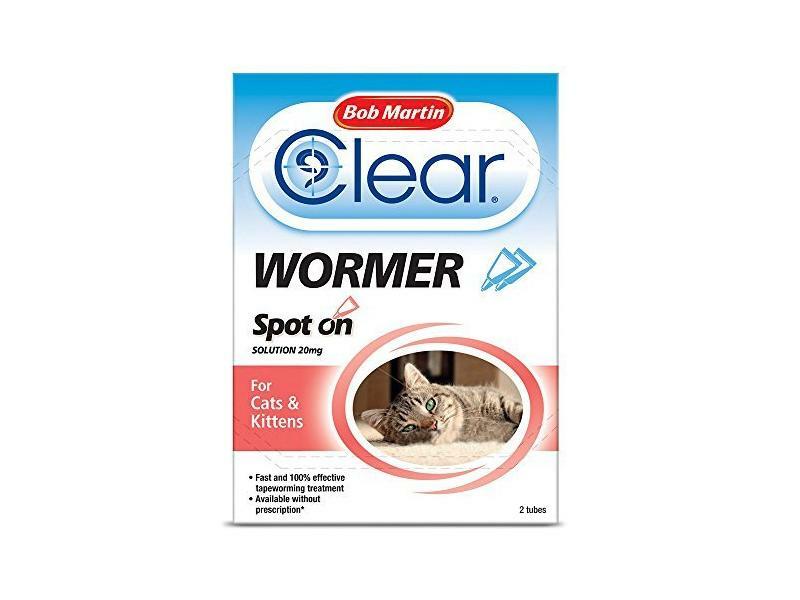 Bob Martin Clear Wormer Tablets for Cats and Kittens is an effective, one-dose treatment against the most common types of worms, roundworm and tapeworm. 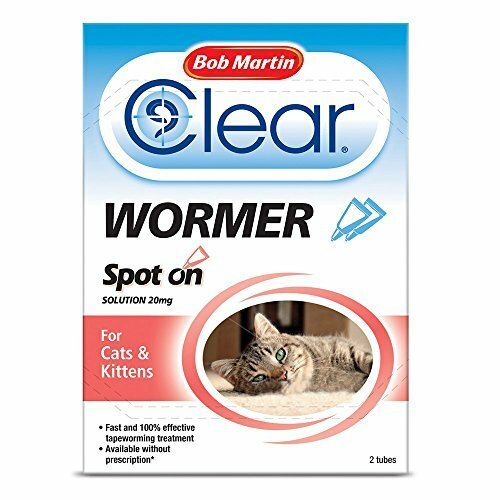 Below are some recent questions we've received regarding Bob Martin Clear Wormer for Cats, including answers from our team. I have just given my cat one tablet how long will this treatment last? Am I supposed to give her the two tablets at once or one again at a later date? If your cat is under 4kg, one tablet is enough to give her an effective treatment. If shes 4-8kg she will need 2 tablets each time she is treated. Follow up treatments are recommended at least every 3 months, but if she hunts or has access to outdoors, monthly treatment would be more suitable. The treatment has an immediate knock down effect, meaning it kills the worms that are present, but doesn't give ongoing protection from new infection, which is why regular treatment is required. I hope this helps! 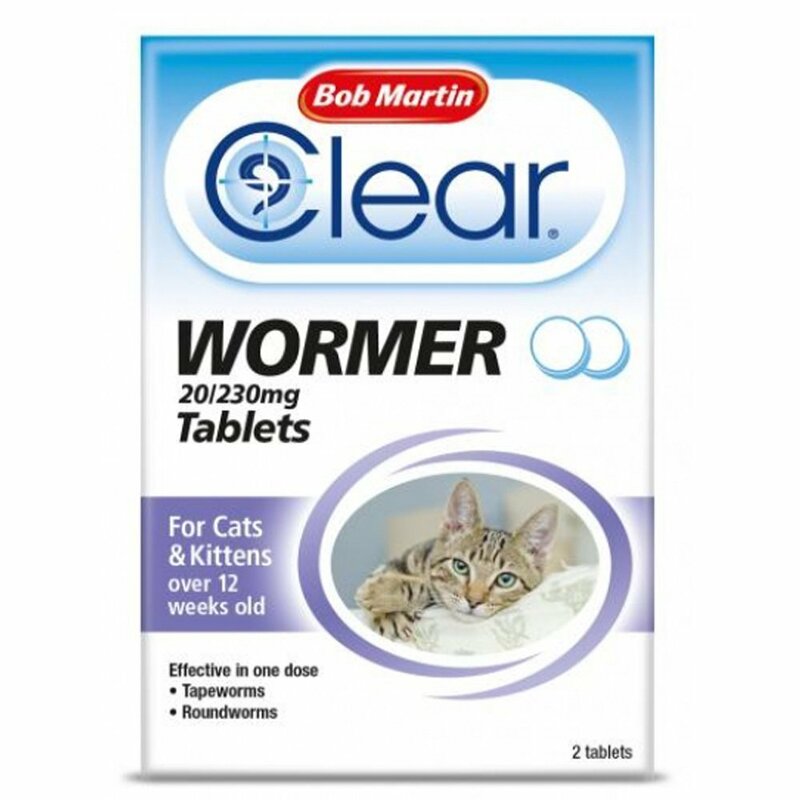 The Bob Martin tablets are a multi-wormer and call all the main worms. 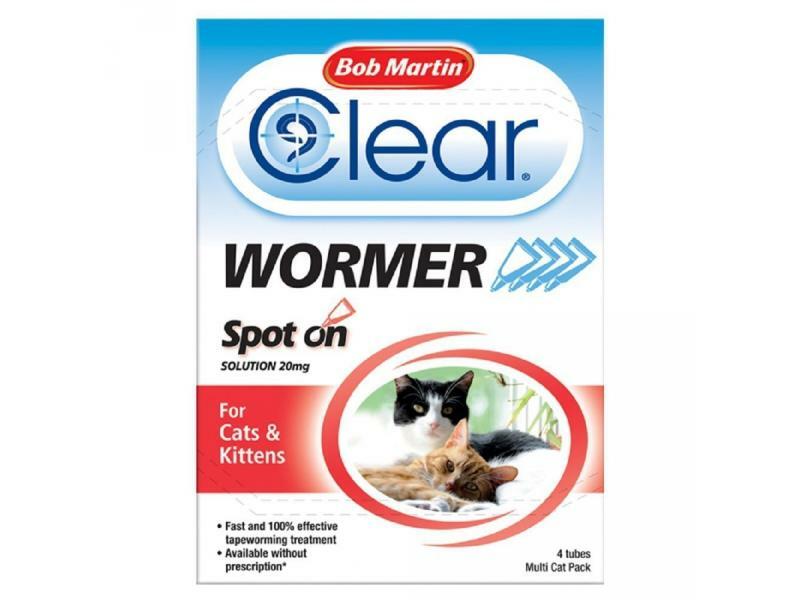 Their spot-on wormers are only effective against tapeworms and have no effect on roundworms. If you need to cover against all worms, a tablet is probably better. Is it one pipeta for one month or for every three month.Thank s.
The recommended use for the Bob Martin Spot On Dewormer is one pipette every 3 months.